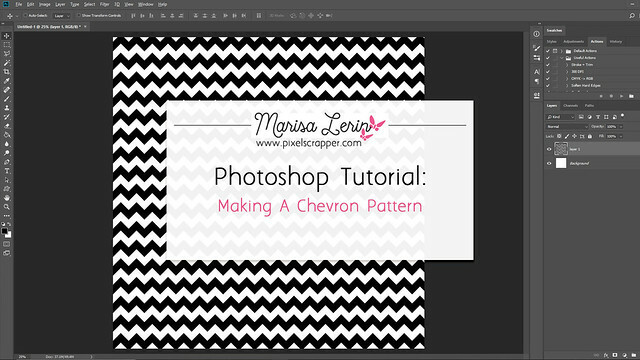 In this tutorial I will show you how to make a Chevron pattern in Photoshop. There is a video at the end of the text tutorial if you prefer. 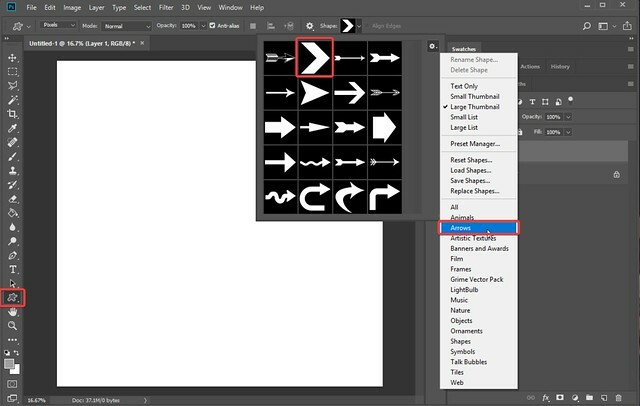 Using the Custom Shape Tool load the Arrows menu. Choose the arrow selected below. 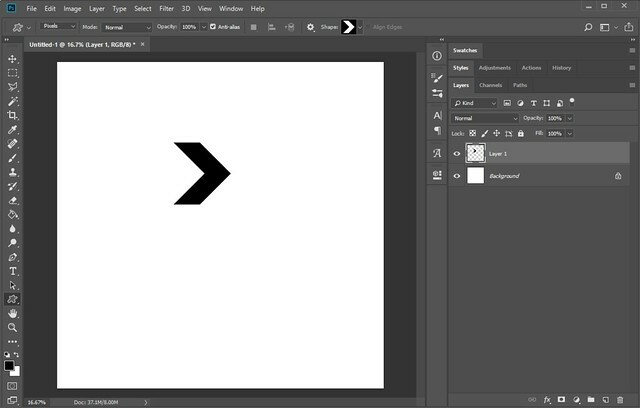 On a new layer draw this arrow. 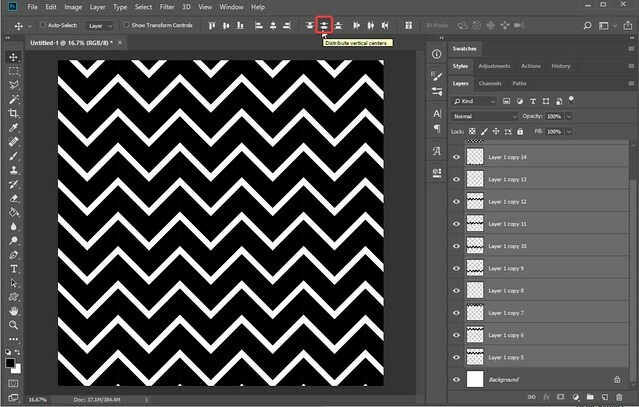 Duplicate the arrow layer and line it up with the edges of the original. Continue until the canvas is full across. Merge those arrows together so you have one line. Then duplicate this line and spread it across your canvas. 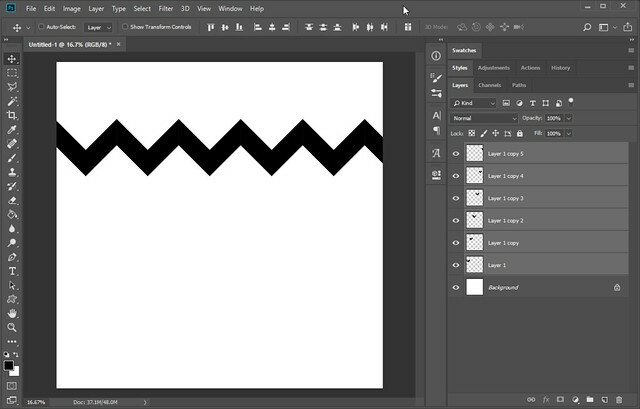 Use the move tool to evenly space it across the canvas. Now you have a chevron pattern!